Why is this good news? Because all of these fancy robots you've been reading about have wonderful machine vision and even voice recognition, but they don't have a good sense of touch. 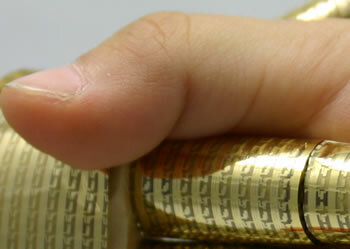 At present, it is not possible to manufacture large area skin with thousands of silicon-based electronic pressure sensors with good mechanical flexibility. 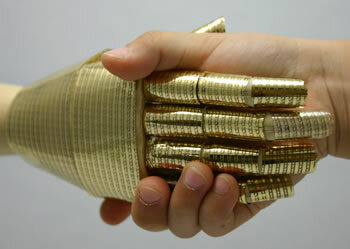 Organic field-effect transistors and rubber pressure sensors are used to create a practical artifical skin. One sf robot that could demonstrate how pressure-sensitive skin could be used was Rolem the wrestling robot from This Immortal, a classic Roger Zelazny novel. An exquisite appreciation of force across wide surface areas would be needed to make sure a wrestling robot did not damage its user.